So in lieu of traveling far this year, Bobo and I decided to take a short weekend trip to Batam to relax. Unfortunately I was true to form, and wouldn't relax, choosing to travel around Batam instead of resting at the resort. If you travel from Singapore to Batam, NEVER buy the trip from a tour guide when you can buy a coupon for it. After researching for days, I chose the deals.com.sg coupon over the groupon one because (1) it was cheaper (2) had free bus transfer, otherwise pay S$5 in 1 direction/person (3) free bowling game (4) free foot reflexology/massage. Good deal right? The deals.com.sg coupon we got entitled us to one free bus transfer, so we used that on the first day we got to Batam after dropping off our gear. 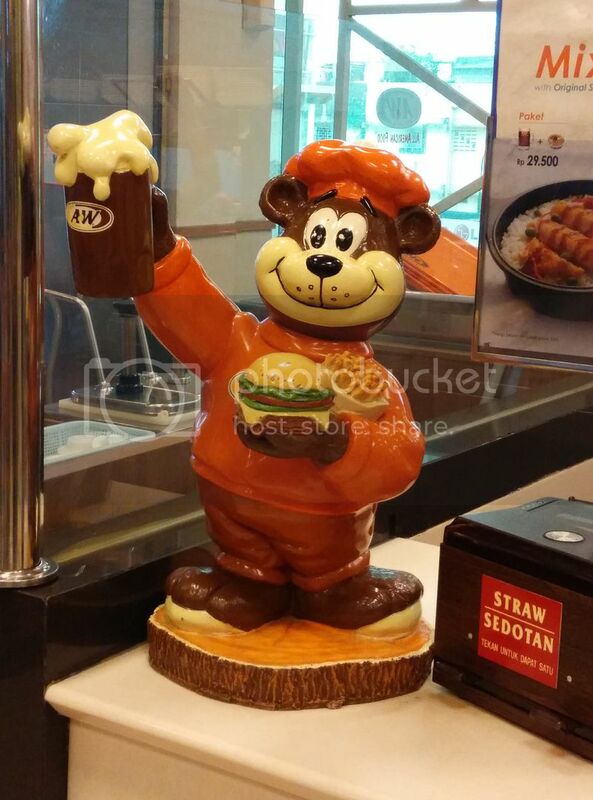 The resort bused us to Nagoya Hill Mall, where it is said by many Singaporean tourists, that you haven't traveled to Batam if you didn't worship at the A&W idol's paws. 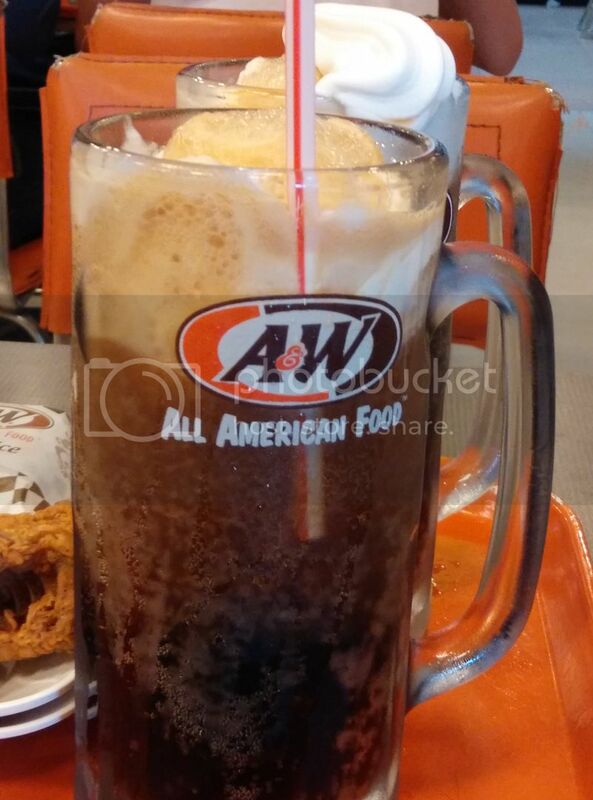 Oh, A&W, how we mourn the loss of your waffle and root bear float on our tiny shores, subjecting us to the fate of overpriced waffles and ice cream made with flour at over-hyped gelato shops. 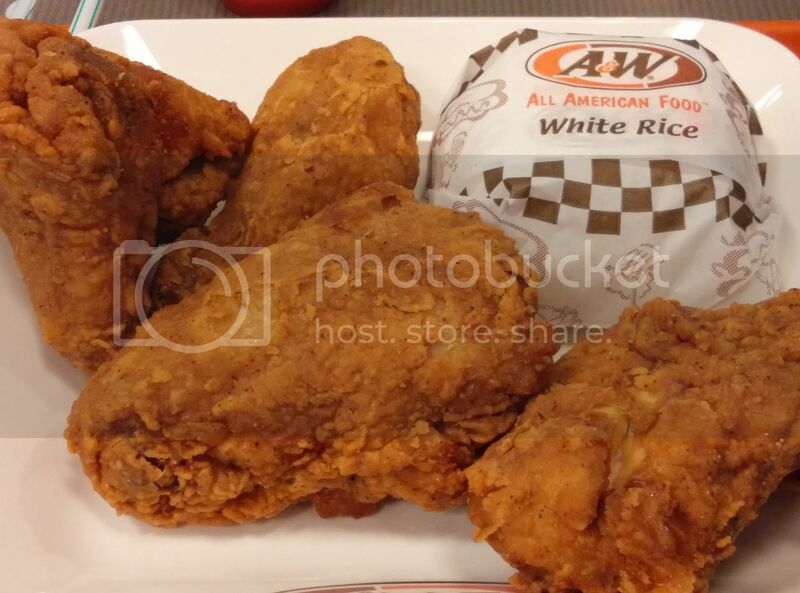 I must admit it was tremendously strange to eat chicken with rice and no veggies. Ate with the fingers. Dish didn't come with utensils. 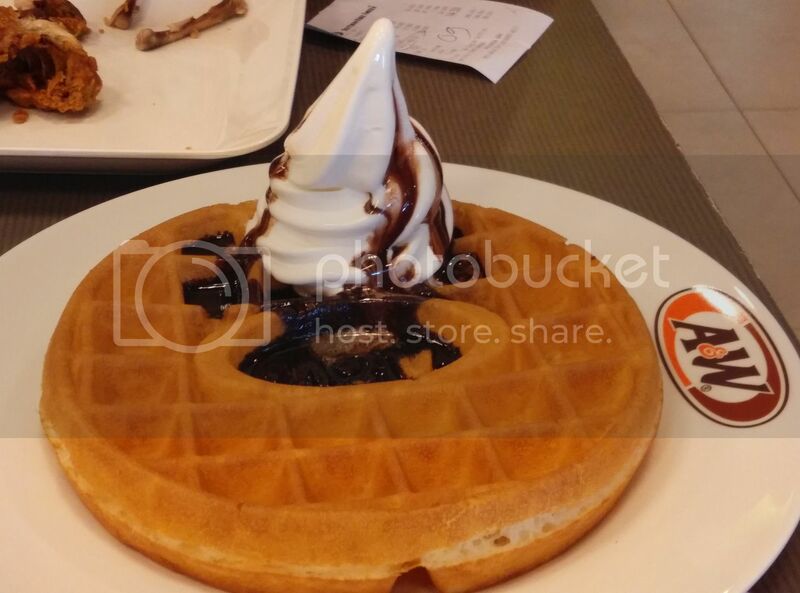 Of course the meal was not complete without the Pièce de résistance, La Waffle. Yumz.